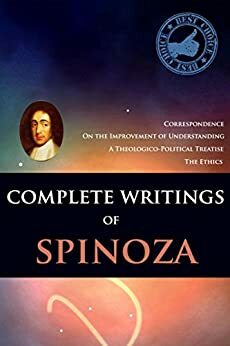 This book is the complete writings of the philosopher Baruch Spinoza. Spinoza (b. 1632, d. 1677) was one of the first of the Enlightenment philosophers. He was born to Sephardic Portuguese Jewish parents, living in the Netherlands due to the Inquisition. His views were so novel, particularly his biblical criticism, that some of his works were only published posthumously, particularly the Ethics. He was essentially excommunicated from the Jewish community, and took on the name Benedictus, the Latin translation of Baruch, 'Blessed.' He worked all his life as a lens grinder. OK for the price. An OCR version of printed text, so it gets some words and punctuation wrong, and spacing can be odd. But it's 98% comprehensible, and a valuable resource at the price. 5.0 out of 5 starsAdded so many valuable thoughts to ponder! 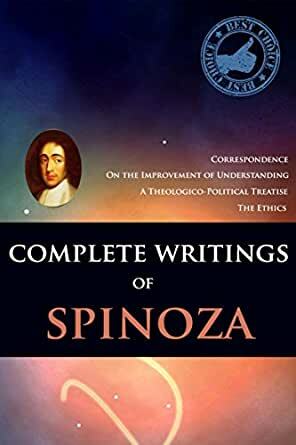 Your collection MUST contain Spinoza! Very difficult to read. I didn't realize this is PhD level stuff. Thought it would be a bit more entertaining--my mistake. 5.0 out of 5 starsOne of the best philosophical books I have read!